ISSN: 2397-9607 Issue 128In this 128th story in the Baba Indaba’s Children's Stories series, Baba Indaba narrates the fairy tale of Dindonette, a fairy assigned to look after the people and creatures of Fountain Island. As she goes from house to house she hears children wishing they were more grown up and adults wishing for the looks and energy of their lost youth. So she takes action with disastrous consequences……. 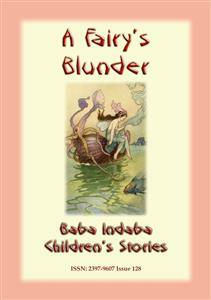 Download and read this story to find out exactly what happened once Dindonette had cast her spell and what the effects were.Baba Indaba is a fictitious Zulu storyteller who narrates children's stories from around the world. “Baba Indaba” translates as "Father of Stories".Each issue also has a "WHERE IN THE WORLD - LOOK IT UP" section, where young readers are challenged to look up a place on a map somewhere in the world. The place, town or city is relevant to the story, on map. HINT - use Google maps.INCLUDES LINKS TO DOWNLOAD 8 FREE STORIES33% of the profit from the sale of this book will be donated to charities.